Even before the survivors’ train reached Lakehurst it became evident that the disaster was to be a cause célèbre. In bold headlines Mrs. Lansdowne was quoted as accusing Secretary of the Navy Curtis D. Wilbur of forcing her husband to take the flight for political purposes. 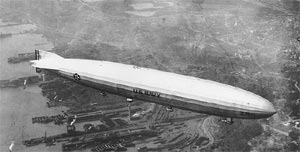 America had four zeppelins of its own in the 1920s and 1930s. One -- the Los Angeles -- was built by the Germans, flew successfully for a decade, and retired with dignity. The other three -- the Shenandoah, Akron, and Macon -- were built by Americans, and each crashed less than two years after its first flight. The first, and the only one to crash on land (and thus be suitable as a tourist attraction) was the Shenandoah. In September 1925 it was ordered to conduct an ill-advised publicity tour of midwestern state fairs. 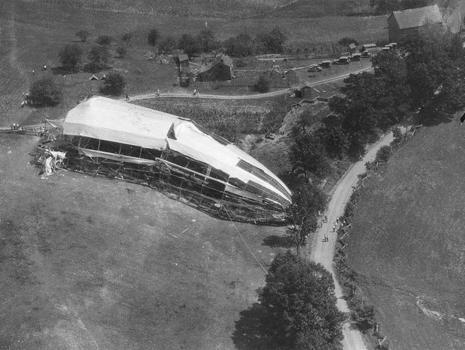 Less than 24 hours into its flight "the strongest airship in the world" was caught in a thunderstorm, torn to pieces, and scattered across the rolling hills of Noble County in southeastern Ohio. Amazingly, 29 of its crew of 43 survived. 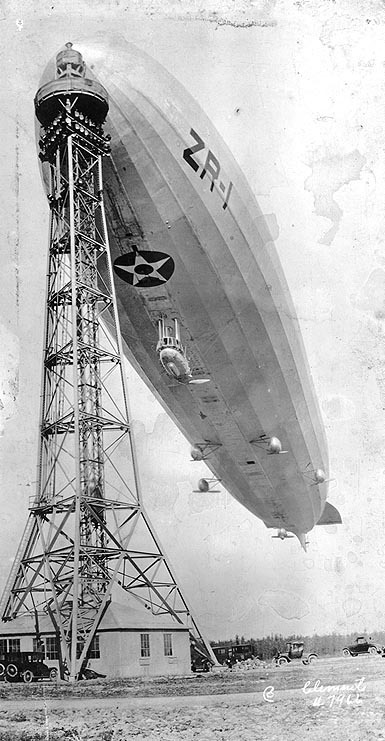 On 2 September 1925, Shenandoah departed Lakehurst on a promotional flight to the Midwest which would include flyovers of 40 cities and visits to state fairs. Testing of a new mooring mast at Dearborn, Michigan was included in the schedule. 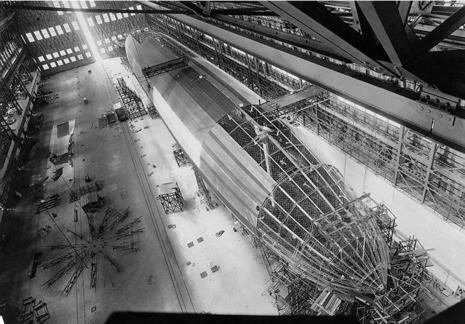 While passing through an area of thunderstorms and turbulence over Ohio early in the morning of September 3, during its 57th flight, the airship was caught in a violent updraft that carried it beyond the pressure limits of its helium gas bags. It was torn apart in the turbulence and crashed in several pieces near Caldwell, Ohio. Shenandoah's commanding officer, Commander Zachary Lansdowne, and 13 other officers and men were killed. This included the entire crew of the control cabin (except for Lieutenant Anderson, who barely escaped before it detached from the ship), two men who went through holes in the hull, and several mechanics who fell with the engines.